Have you updated about the facts related to Apple Company readiness for their next massive iOS 11 firmware update? Of course, they have revealed about this in WWDC 2017, on last June. Within this giant update, users will able to enjoy more fantastic features with their beloved iPhone, iPad and iPod touch. If you are an iPad device user then it will be good for you. The developer has focused on improving the productivity of iPad devices with the 11th chapter. When we turn on the jailbreak community after the demo now they too eager to have more details related to the release date, iOS 11 jailbreak tweak and more other. OK, go through this guide to have more idea on those facts. As usual, this time Apple Company is ready to offer the 11th chapter to the public with iPhone 8. Therefore, now they are slowly reaching to the final edition of the firmware. And they have focused offer more adorable features to the iDevice users more features including Siri app, Safari app, Message app, Control Center, Lock Screen, Notification Center, Key board and etc. So, now to polish up ensure the stability of the firmware the Company has started the test period. Therefore, in the moment the iOS 11 is in its 3rd developer and 2nd public beta. And there will be more beta versions before the final official release. After two weeks of the WWDC, the MOSEC 2017, is held in Shanghai. Most of the Jailbreak lovers aware of this event to know more about Pangu 10.3.1 and other jailbreaks related facts. Of course, surprisingly Pangu team has maintained a silent manner. 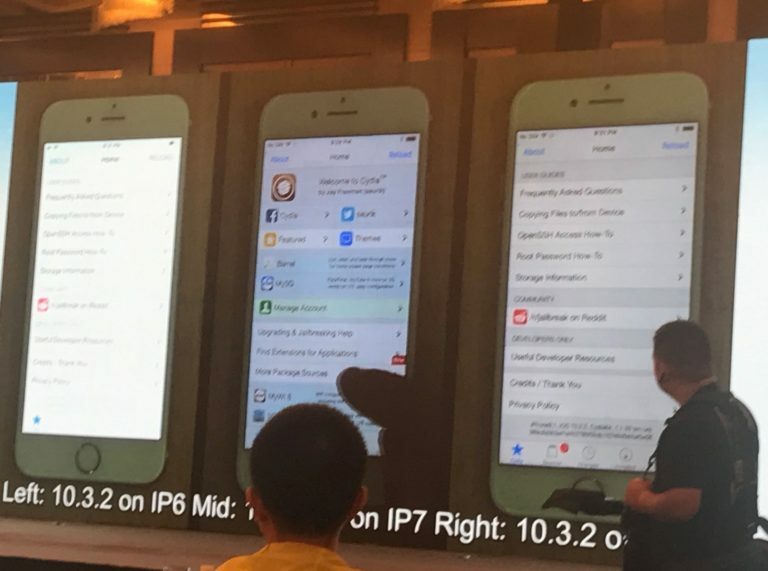 But there was a powerful jailbreak demo related to iOS 10.3.2 and iOS 11 beta. Yes, they got success to blast the 11th chapter within two weeks in its beta stage. After that, Cydia download successfully works with the jailbroken iDevices. But after the demo still, there were no facts from the Keen team related to their readiness for the final output. It seems they will not focus to offer a final version of iOS 11 jailbreak utility. So, it is only a show off to letting know us the breakability of the upcoming chapter. 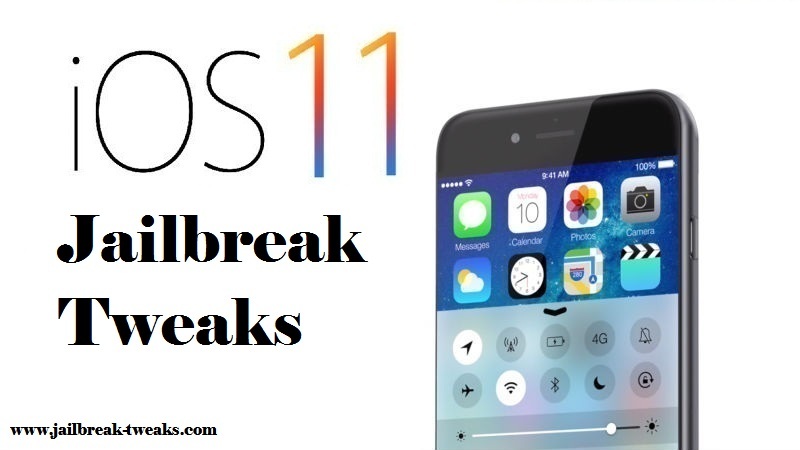 But now most of the Cydia fans are eager to know more about the release date of iOS 11 jailbreak, iOS 11 jailbreak tweak related facts and more. But we haven’t offered any new fact for them. It has left more than one month of the final release of the chapter. So, within the time period, hackers will more concern on the upcoming chapter and find a way to enter into the system. Therefore, let we allow more time to the hackers and see what will be in future. Well, are you searching to download iOS 11 jailbreak tool at the moment? OK, then keep in mind that, thanks to the Keen team still we know the possibility to jailbreak iOS 11 in beta stage. But still, there was no any official public tool for the upcoming chapter. so, without a jailbreak tool, you can’t reach to the Cydia world. Therefore in the moment, we couldn’t find jailbreak tweaks for iOS 11. But in future, if iOS 11 jailbreak utility releases then the Cydia world will be updated with more iOS 11jailbreak tweaks. So, till that the available latest tweaks are related to the 10th chapter. so, if you have jailbroken your lovely iDevice with iOS 10, then here are the latest Cydia apps and tweaks you can enjoy with your device to feel fresh with it. Finally when we conclude all the related facts the 11th firmware is still in beta stage it will release to the public in Coming September with the iPhone 8. And after the Keen demo, there were no other facts related to the possibility of iOS 11 jailbreak. But don’t underestimate hackers they will find a way to enter into the system. So, till that wait and see patiently. and stay tuned with us to have more updated facts.